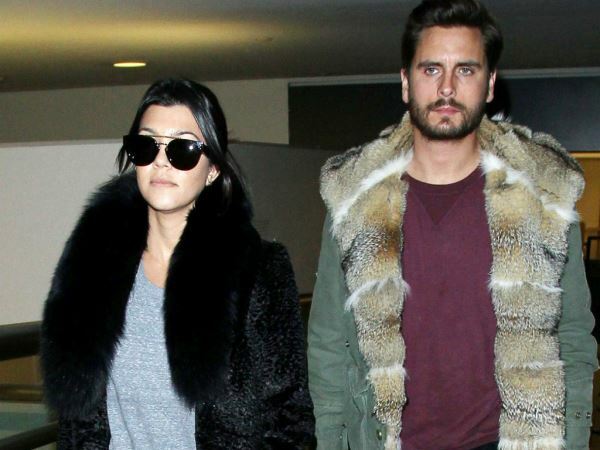 Is Scott entitled to half of Kourtney’s money? Kourtney Kardashian is terrified her split from Scott Disick could cost her in more ways than one, it has been claimed. It was reported on Monday that reality star Kourtney had called time on her relationship with Scott after nine years and three children together. And while the pair never officially married, Kourtney is said to be worried that Scott could claim they had a ‘common law marriage’. According to the official definition, common law marriage is “a marriage that is considered valid by both partners, but has not been formally recorded with a state or religious registry, or celebrated in a formal religious service”. If their romance is agreed to be such a union, Scott could legally claim that he is entitled to half of Kourtney’s earnings. News of the alleged split came after pictures emerged of Scott cosying up to his ex-girlfriend, stylist Chloe Bartoli, in Monaco over the weekend. Kourtney is mother to five-year-old Mason, two-year-old Penelope and six-month-old Reign with Scott. And it has also been claimed that Kourtney is planning to seek primary custody of the children. A source close to the 36-year-old said she has already hired an attorney to get her case started. "Kourtney does not think she will have any problems with getting sole custody because it is apparent that Scott is back partying,” the source told Radar.